How many times do you see your smartphone lockscreen a day? I can safely say it’s very very often. Looking at the same lockscreen every time we check our phone is just too boring. Well, thanks to Android being a highly customizable platform, there are some cool lockscreen replacement apps available free in Google Play Store. 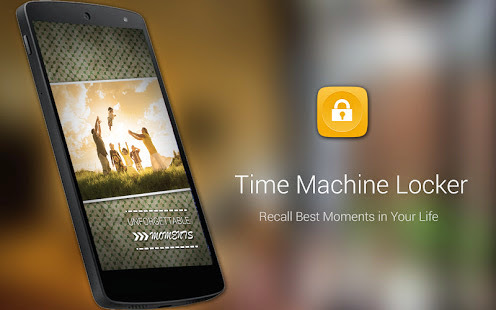 I would like to introduce an interesting award-winning lockscreen app called Time Machine Locker. This free app is able to automatically identify memorable photos from your social network and other sources using a special algorithm and display the photo on your lockscreen with added beautiful effects. In other words, your lockscreen won’t always be the same picture and you’ll also be surprised occasionally with new photos when you unlock the screen. Wonderful pictures on lockscreen, always! Time Machine Locker app uses Facebook login for user authentication and the app requires permission to access to your Facebook profile, pictures, some public information, etc. From my experience in using the app, it’s able to analyze my current relationship and memorable moments in Facebook and uses photo of wonderful places I’ve visited and people that I care. I guess that’s why my wife’s photo is appearing very often on my lockscreen and it always puts a smile on my face when I see it. If I come across a picture that I like, I can even share it to my Facebook or cast it to my Facebook friends. 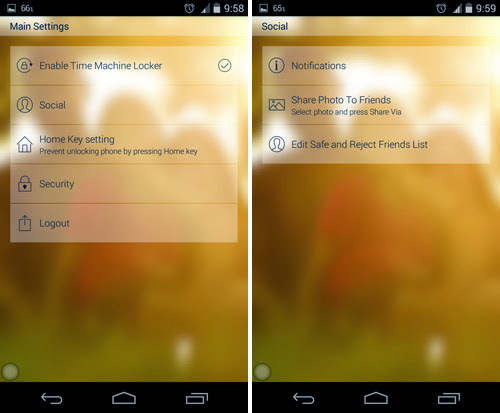 Not only Time Machine Locker is able to intelligently pick photos from your best moments in life, it also allows you to have fun by casting photos directly to your friend’s lock screen. 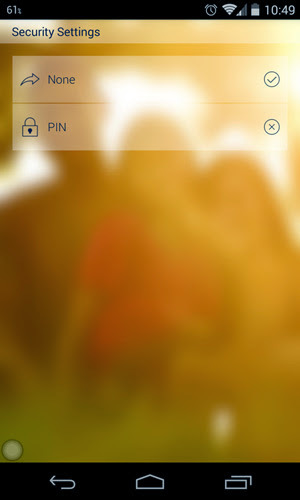 Right from the photo gallery, use the share button to set a photo from your phone to your friend’s lockscreen. 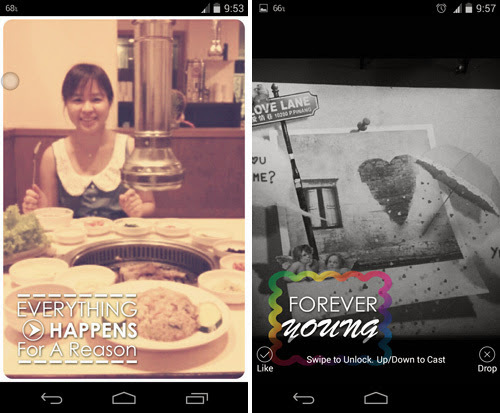 It’s a great way to remind your friends and family members with collective memories and share some fun moments too. As an added security feature, this app comes with a Safe & Reject Friends List so you will only receive photos from people you like. Time Machine Locker is still a new app but with promising future. There is space for improvements and hopefully more features will be added into it such as allowing users to preset photos they wish to see in the lockscreen and integrate Android pattern or face unlock into the app. Anyway, with Time Machine Locker app, unlocking your phone isn’t just a swipe but it’s a swipe with wonderful memories flashing back. Feel free to head over to Google Play Store and download the free app. Did you ever know how #Honor series started its journey?